Step out this Halloween as the first Avenger and show the world what a true hero looks like. 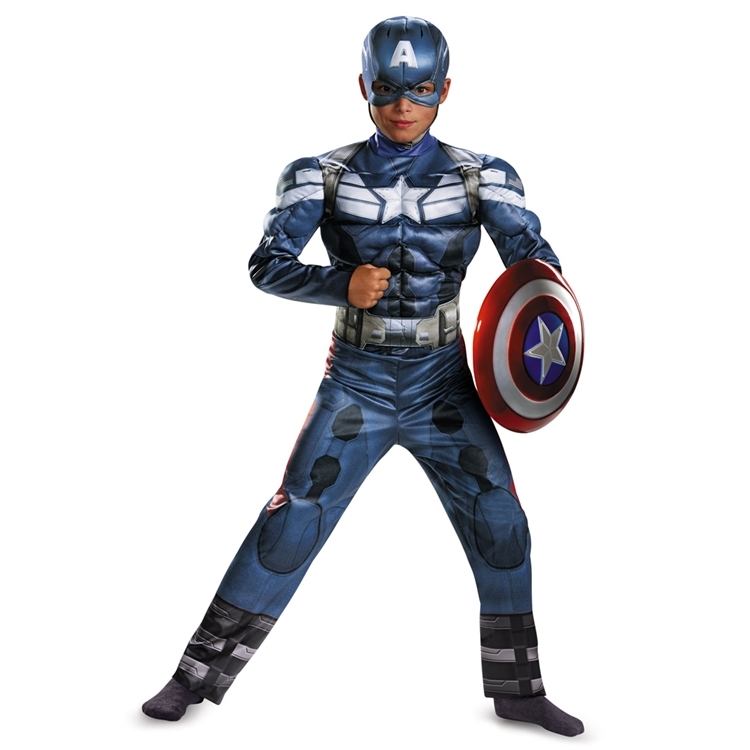 The licensed Boy's Captain America 2 Muscle Costume from Captain America: The Winter Soldier includes printed jumpsuit with muscle torso and arms, and soft character headpiece. Shield not included. Available in three child sizes: Small 4-6, Medium 7-8, and Large 10-12. Check out our other superhero costumes for a great group theme!